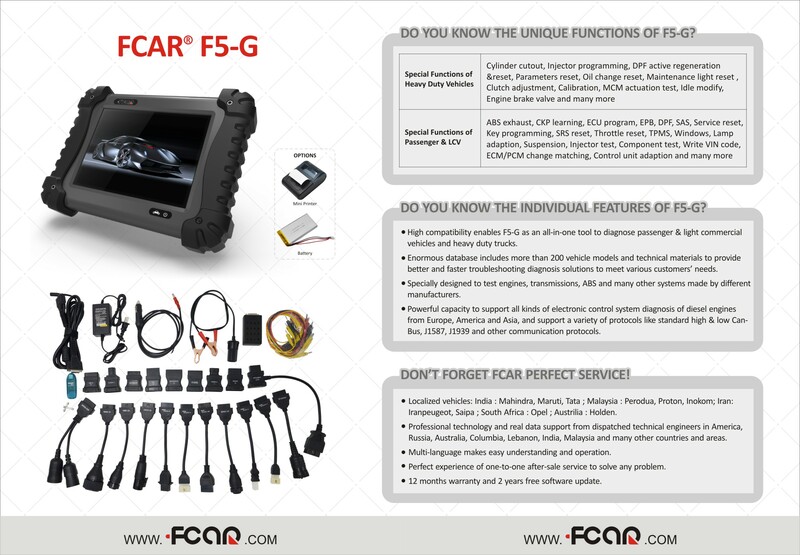 ◆ High compatibility enables F5-G as an all-in-one tool to diagnose passenger & light commercial vehicles and heavy duty trucks. ◆ Enormous database includes more than 200 vehicle models and technical materials to provide better and faster troubleshooting diagnosis solutions to meet various customers’ needs. ◆ Specially designed to test engines, transmissions, ABS and many other systems made by different manufacturers. 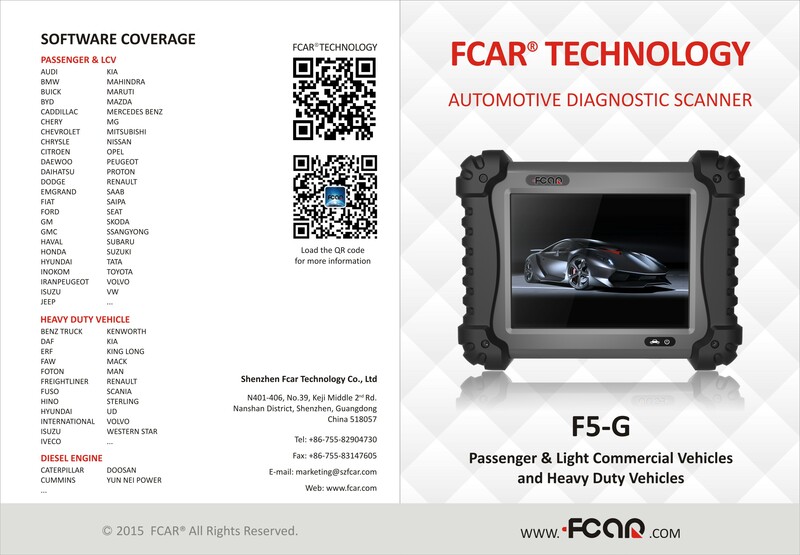 ◆ Various quick-test functions like throttle match, oil service and TPMS to save time and cost. ◆ Professional technology and real data support from dispatched technical engineers in America, Russia, Australia, Columbia, Lebanon, India, Malaysia, Myanmar and many other countries and areas. ◆ Perfect experience of one-to-one after-sale service to solve any question. ◆ 12 months free warranty and 2 years free software update.